Clear Conscience Pet Radio is dedicated to providing animal lovers a HYPE-FREE ZONE in the world of pet media. The program will cover a broad range of progressive pet care and nutritional topics with ONE common thread: CLARITY and AWARENESS BEATS HYPE EVERY TIME! So whether the topic is nutrition, veterinary care, training, animal communication, animal rescue, or any other subject, the program will showcase stimulating viewpoints that challenge the mainstream and empower listeners to make changes that improve pet health and enhance the human/animal bond. Join Clear Conscience Pet Radio each week, and meet fascinating people in the world of pet care who will help you to provide a better life for your companion animals. At the same time, we hope to entertain and share JOY and LAUGHTER. After all, shouldn’t our experiences with animals be among the most fun and emotionally rewarding parts of our lives? 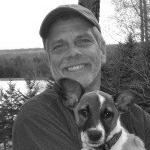 Anthony Bennie has been an animal nutritionist for over 20 years and is a frequently published author in the field of animal nutrition and health care, as well as the more spiritual side of life with animals. He is also an entrepreneur in the animal nutrition industry and along with his wife, Amanda Malone Bennie, Founded Clear Conscience Pet in 2010 to create exceptional nutrition for pets. The company has won nine national awards for excellence in natural animal nutrition and is a pioneer in the new frontier of animal nutrition, CleanLabel Pet™ products. Visit ClearConsciencePet.com to learn more, or write Anthony@ ClearConsciencePet.com.